Dr Tapan Patel: Hello, and welcome to this first eMASTR lip expert seminar. I am delighted to be joined today by two dear friends and esteemed experts. I have with me first Dr Tijion Esho, who is a cosmetic doctor who has been practicing for about 7 or 8 years, and you may recognise him from a number of TV appearances and magazine articles. Also with me I have Dr Tom van Eijk, a dear friend from the Netherlands. Tom has been in the field for about 15 years, and interestingly was one of the first people I ever saw demonstrate his very famous techniques onstage. We will begin the first half of this seminar by exploring some of those questions that many injectors, particularly novice and beginner injectors, have. We see these questions all the time on various Facebook forums, so we will just explore how my colleagues and I have different approaches and techniques when it comes to lip injections. Dr Tijion Esho: I think what generally starts to happen is you tend to favour the first product you use sometimes. Initially, for me, it was always Allergan products, so Juvederm Ultra Smile and now moving onto the Vycross range. It became my mainstay that I used, and I think you can become a creature of comfort, you get used to how it injects and you can predict the outcomes, and because of that you tend to use it more and more if you’re happy with the outcomes. For me, it has always been Vycross, and for the lips in particular I’ve always juggled between Volbella and Volift; Volift if I’m needing that extra bit of volume, while Volbella if I’m looking for that subtle finish or that textural change in the surface of the lip. Dr Tapan Patel: What about you, Tom? Dr Tom van Eijk: The first hyaluronic acid I started with was Hylaform, which I think is unavailable at the moment. Then I switched to Restylane, which isn’t the easiest product to work with because it’s not really forgiving, but if you want to define the stiffness of the skin and the contour of the lip, I think there’s nothing that beats it. Of course now Restylane has a wide variety of different technologies, one of which is OBT (optimal balance technology), and Restylane Kiss, which used to be Emervel, is much like Juvederm. I use that for the lips, but if I need contouring I will switch to Restylane. Dr Tapan Patel: Interesting. I’m kind of, I suppose, a hybrid of both of you. I cut my teeth with the Restylane products, and I’m so glad you said what you said, Tom, because I did find it a little bit difficult to inject. One of the reasons that I was looking for a change was that I wanted something that was probably a bit more moldable and a bit more predictable, so certainly the beginning of my career was mainly the NASHA technology, and as you mentioned I moved on to the Hylacross, which is the Juvederm Ultra Smile type products. For the last 3 or 4 years I have been exclusively using Vycross, Volbella and Volift, and I suspect I use exactly the same products as you, Tijion, but I think our techniques, we will discover, will be very different. Dr Tapan Patel: Let’s start with you, Tom. Dr Tom van Eijk: I think I use one cannula a year. Dr Tijion Esho: But when do you use that one? Dr Tom van Eijk: I use that one when the patient demands a cannula because they really don’t want any bruising. The fact that you cannot enter the dermis with the cannula doesn’t give me the strength to make the contour any better, it just gives volume, and I think it’s a waste of product if you just use that volumising aspect of hyaluronic acid and not the strengthening part of it. There is always need for strength in my opinion, so I always use a needle. Dr Tapan Patel: So you’re a needle man? Dr Tom van Eijk: Absolutely. Dr Tapan Patel: I think at the other end of the spectrum we have me, I’m almost predominantly cannula in the lip, and that’s something that I have built up over the last couple of years. Whereas you use a cannula once a year, I probably use a needle only once or twice a month, so I perform almost entirely cannula-based treatments. I think what I like is the ability to enter the lip with very few access points, I find every time I’m putting a sharp needle in the lip, just with it being so vascular it raises the possibility of a haemotoma. I like the ability to achieve a very symmetrical finish, so I’m not too distracted by lumps, etc. I think there is a learning curve with the cannula, and especially in the lip it’s not always easy to get it in the right plane. Having really just tried and tested it, I’m very happy with cannula now. How about you Tijion? Dr Tijion Esho: I think I’m somewhere in between you two. I started with just needles, they were my mainstay that I used, and I agree with Tom about being able to be in the dermis and get that extra definition. You can only do that with a needle in my belief, but what I have found is I try to give a multi-factorial approach. I started looking at lips, which make up 70% of what I do, fand I saw that cannula did play a role, particularly in thin lips where you want to be submuscular and develop some volume. Then you can also use a needle to get the definition in the border. I have found that I can play and combine depending on the actual lip itself I can actually get better results than just using one of the modalities. I’m still definitely predominantly needle, but I now work a cannula in there more and more in my practice, and I think there still will be a defined place for each of those properties to use. Dr Tijion Esho: When patients come in one of the key things is controlling the factors before the augmentation itself. For me, my nightmare is cold sores. I think it’s something that patients themselves don’t realise is quite serious and may omit from the questionnaire form. I actually ask it again when they’re there in front of me and so many say that they’ve only ever had one, well one’s enough! In that case, I will definitely give them antivirals prior to treatment. When I look at different papers, what’s interesting is that the variety of how much and when, you know, some say three days before and others say five. I’ve actually seen varying doses from 400 mg to 800 mg. My point is that I generally say 5 days, and I give 800 mg, 5 times a day, for 5 days prior, then treat after that. Dr Tapan Patel: Presumably that’s Acyclovir? Dr Tijion Esho: Yes, it is. Dr Tom van Eijk: I’m not that strict, I tend to ask them to use the Acyclovir they already have, when talking about people who have cold sores a lot, to use that 3 days prior to injections. I think that’s a thing with prophylaxis anyway, there’s no guarantees, you don’t know what’s enough. You can never pinpoint what happens, so it’s good to be on the safe side, absolutely. Dr Tijion Esho: I think that is a key point that you touched upon, because actually one of the things is when you’re counselling a patient and giving this to them, there is no guarantee. If they see it coming across as a guarantee and the worst happens, they’re going to be more upset and they’ve missed their expectations, so I think you’re right in saying that. Dr Tapan Patel: I think the only thing that I would add on to that is that, in my opinion, if you’ve taken a medical history, which we have to, and the patient has pinpointed that they have had a previous history of cold sores, I would almost deem it negligent not to give them prophylaxis. There’s a scenario we all dread, where we’ve done a lip augmentation and on day 2 they break out in cold sores. That doesn’t get away from the fact that some patients forget to tell us that and may only mention it at the end of the treatment. In this case, we have missed our window for giving it before that treatment and I will just make sure that they take tablets home with them. From a practical point of view, I tend to keep a stock of the Acyclovir in the clinic because when you rely on a patient to go out and get it, it is just another variable that they may not do. If I know that a patient hasn’t taken a prophylaxis, I usually keep take-home packs that I can prescribe them. The final thing I do, which I don’t know if you have heard about, there is a paper that shows that rinsing the mouth out with chlorhexidine or Listerine before a lip augmentation procedure seems to reduce the risk of postoperative infection. Now, touch wood, I have never had a postoperative infection from a lip augmentation, but I don’t want to start so it seems like a very innocuous thing to do. We now keep some Listerine in the clinic and about 15 minutes before treatment we just get them to swill some out. Dr Tijion Esho: That’s really interesting, I probably would add that to my practice myself to be honest, it’s something very simple and if there is actually an evidence base for it, it would work. Adding to that, I also adopted recently asking patients to not wear makeup on the day because looking at papers they were actually showing that removing makeup there on the day can cause small micro tears where bacteria can breed and grow, so even though you are removing the makeup there is still an increased chance. So coming in makeup-free, rinsing with the Listerine, and having the antiviral sounds like a perfect choice. Dr Tapan Patel: And that’s the thing about evidence-based, it allows us to actually give the patients a very good reason to do something, rather than just because they think we are trying to create unnecessary trouble. I agree with you, and with the best will in the world, some patients put on so much makeup that when we try to remove it, even after 10 wipes, we’re still getting some coming off with foundation on it and that has to lead to a higher infection risk. Dr Tom van Eijk: The fact is that if you are about to change anything that gives support to the lip, I think you will agree, that it’s very difficult to design the outcome of the treatment, so I would do some, maybe an incomplete correction, but try to have some slack for when the dental work is over, then have them come back and maybe complete it. Dr Tapan Patel: Personally, I think I take on board everything that Tom says; I would look at the degree of dental work. With an older patient, who might be missing a few teeth or have corrective implants or dentures, we know that sometimes there’s so little dental support that actually trying to augment the lip in those circumstances is rather pointless, so I would wait until they’re finished the dental procedure. If it’s a question of just fixing an odd tooth or minor corrective work, clearly you have to make a judgement call. I understand you’ve got some interesting insights, Tijion, on dental work. Dr Tijion Esho: Probably one of the first things I realised when I started focussing on lip augmentation was the importance of the teeth. Matching that to the patient’s desired outcome was key because, as you said, if the foundation wasn’t there, to correct a lip in a young or old patient you’re actually set to mismatch the expectation of what will happen. For example, with people with rotated teeth, that holds up the lip slightly. In their case the asymmetry could be ascribed to the size of the lip, but it’s actually about the position of where the lip is sitting in relation to the tooth. Actually being able to break that down to the patient and for them to understand that became key. One of the other things I looked at was the type of dental work they did have, and separated it into whether I could do work or not. If they have traditional front braces, I try to avoid it because we know that obviously with Vycross there is some swelling post, though it does settle, but that can abrade against the brace itself and lead to a risk of infection. I always try to avoid that, but now with more innocuous braces like Invisalign, and as I am working closely with a lot of cosmetic dentists now, you can actually match that person’s perfect smile to go together with what you’re doing to the lips so they have a brace that doesn’t abrade against the back of the lip so it’s perfect, there’s no problems with that. You can also predict the outcomes of the lip along the way, so you can make more checkpoints and give a 9 month smile plan, with 3 month intervals of topping up or adjusting slightly, coming back to what Dr van Eijk said. So, by the end of their smile plan, the actual result of the lip matches, and they have the perfect result. Dr Tom van Eijk: The Invisalign itself, it’s about 2 mm, do you take that into account for the upper lip? Dr Tijion Esho: Yes, exactly. I’ve had Invisalign myself, I should actually have it on today, but it’s actually a great thing, you don’t notice that it’s there. Hopefully, when building these protocols it will show people and make them more confident in continuing treatment alongside that particular scenario. Dr Tapan Patel: I think the biggest challenge, when we are treating the lip in an older patient, is to understand what kind of lip that patient had when they were younger. For that, I find a photo of the patient when they were younger invaluable. The temptation is always to assume that there has been age-related changes, so we see somebody in their 60s and we see very little volume, we assume they must have had a full lip when they were younger. In fact, sometimes we look at photos of patients when they were younger and they never had a particularly strong lip, and the danger of creating something the patient never had is that they will potentially look less than aesthetically pleasing. That’s the first thing I like to look at, what was there in the past. The second thing is to look at the perioral structures, sometimes creating a really good lip in somebody that has some perioral lines, some nasolabial folds, or some marionette lines, will actually accentuate the lines around it because the lip looks more youthful and so it makes the contrast with the other stuff look worse. I just look at the perioral region as a whole first to make sure we are building up the structure before treating the lip. I don’t know if you wanted to add something onto that? Dr Tijion Esho: I really agree, and I think particularly for me, being the youngest here, my age group of patients are in the mean age group of 25-35, so when I first started I kind of didn’t encounter that or notice that as much, but then these patients have mums, and when they saw a great result they wanted to come and see me. Then I started to understand the difference between enhancement and restoration. Building on what you said, when treating the face itself, there’s so many factors that come into play, so things like craniofacial bone reabsorption and hyperkinetic activity on the lip, that actually it’s not just volume loss, it’s all of these components. Being able to treat these is the key to restoring the lip itself. Dr Tom van Eijk: Yes, I think restoration is key in all lips. Through the decades so much has been done, with volume loss, damage of collagen, sun damage, acne scarring, and whatnot. I feel that reconstructing the dermis and the white roll of the lip is the essential way to go before you actually throw in volume. A lot of my patients, and I have a different patient group to you Tijion, some of them go up to 92 years of age. Dr Tapan Patel: And you do lips in a 92 year old? Dr Tom van Eijk: Yes. Dr Tapan Patel: That’s fantastic! Dr Tom van Eijk: Most of them have lip lines, and say that they want their lip lines done but they don’t want a bigger lip, so they want a reconstruction and redefinition and they want a clear shape but not enhancement as such. And this is where the needle and the Restylane come in. I understand the differences in approach because my age group is different. Most of my women are around 50-60, white, have been on going holiday to Spain for a few decades, and use sunbeds, so we’re talking about sun damage, acne scarring, damage of the skin in general. It’s not so much the Kylie Jenner generation, wanting big lips because it’s hip and they want to go out. We’ve got different groups, I think. Dr Tapan Patel: Just as you were saying that, a thought that came to me is that we do see a lot of young patients for lip augmentations. It would be interesting to see what happens with that demographic as they age and they get the actinic damage but they still want the fuller lip. What I struggle with, with younger patients, is trying to get them to stop the extreme tanning and the sun damage. Some are great, some not so much, but when we get this patient group in their 40s and 50s it will be really interesting to see what kind of challenges that will throw up for us. Dr Tijion Esho: I completely agree, I think it’s key when you treat these patients to almost have two points of view; to look at now, in front of you, and the long term. That’s not just in terms of the financial side of things and how you’re going to maintain this, but what consequence this will have with you long term. I have that talk regularly with patients, because we’re building them in stages, and we hope to then reinforce that into them so it’s both a short and a long term treatment plan. Dr Tom van Eijk: Technically, younger patients need more volume and less restructuring, so I would almost use a cannula. But still, a better definition of the upper lip is most desirable. It’s more fashion-based, right? They want lips they didn’t have, as opposed to the others, the age group from 40 or 50 onwards who want to regain it back. It’s more fashion, it’s more exotic maybe. Dr Tijion Esho: My take on it, particularly in that age group, is the big psychological factor, and I think people really struggle probably more on that side than they do technically. It’s about matching that expectation for the patient. One of the key things I do find is expecting what 1 ml of product can do. I did a simple video on my Instagram where I just pushed out a whole syringe of Volift into a teaspoon and showed how it looked, and demonstrated that it takes 5 to fill that level teaspoon, and it really gave a visual cue for people to understand that in their head, because if you stand there with the syringe, often patients look at it and think it looks like a lot, and they might expect to look like Kylie Jenner with that. Actually, especially if you’ve started with really thin lips, you’re going to really need to build up, and your lips may not look great that way, or be able to expand or take that volume, so I think the key thing for me is the consultation, and I often kind of show images as well, of different patients that are similar to them, their starting points, where they’ve been, and how much volume it has taken to get them to that point. I think that then also goes back to your personal preferences as well, about what you feel would look good, and matching that together for the patient. Dr Tapan Patel: Yes, it’s interesting, I think the younger patient demonstrates this new idea that we can almost classify why a patient comes to the clinic in the first place. For instance, Allergan have this idea that you can have a patient that comes for positive ageing, there’s beautification, there’s correction, and there’s transformation. I think in the younger patient group we’re really looking at beautification or correction, and I treat the two of them quite differently. There is the young patient who has a full and beautiful lip, but just wants to be a bit fuller, the young patient who may have a corrective underlying requirement, like a gummy smile or a very thin lip on animation. The first thing I like to do is classify why they’ve come in, and what their motivation for treatment is. The second challenge we have with the younger patients, and I’m not stereotyping, is usually a budgetary one. Of course, they want the most impact for the least budget, which is completely understandable. To your case and point, Dr Esho, understanding what volumes can achieve is important there. The third challenge I think we have with them is unrealistic expectations; they often don’t come in with a picture of how they used to look, they come to us with the lip of a celebrity. The underlying lip and face shape can be so intrinsically different, and actually explaining that can be a challenge. The last thing I’d say is also that we focus on the lip but, for younger patients especially, we have got to be careful about animation, that we look at the resting lip before and after treatment. Younger patients are often doing the lip treatment for a better pout, or a sexier smile, and so what can be a moderate sized lip at rest can be quite a big lip on pout, and then what they want is a really big lip. I will explain to a younger patient that their smile or their pout is attractive if you can turn it on once in a while, but if you walk around with it all the time, it ceases to be. I think, in the younger patient group, we could probably have another seminar on managing patient expectations, but there’s a number of things to think about there. Dr Tijion Esho: Just touching upon that, where you spoke about the actual dynamics of the lip, it’s really important, because the number of times you look at patients, at least what I have found is that the three main concerns are a really thin top lip, the top lip disappearing on smile, and the outer two thirds of the top lip are too small, so while they may like the middle, they want the lateral edges to be bigger. For many of those patients, when you look at them, sometimes it isn’t an intrinsic volume problem. Maybe for the thin lip it is, but for the other two it can easily be a hyperkinetic problem, and if you just keep filling that so then actually when they smile it is thick, when they are in a static position the lip is pushing out and it’s more than a pout. I really animate my patients, and move them back and forth during the treatment, making sure they and I can see all of those different positions. Dr Tom van Eijk: Men in general I think are looking for a more rectangular look. While women tend to have rounded lips that are attractive, men are more chiselled and sharp. I like to chisel the lips and make them more defined without so much rounding. If you look at celebrities like Paul Newman, they have well-defined lips that aren’t very big but the outer third of the lip is elevated, and I call that the Canine Arc. You can see that in a lot of beautiful men and women, and it is a detail which is not there when you’re young, it’s there when you’re old because you have a flattening of the lip, but one you are in that age group where you can have kids, it’s like having a thin waist, it’s parallel to that. The Canine Arc is essential to give to both men and women, though men have a dry version of that and women have a wet version, and I think that’s the difference. Dr Tijion Esho: I think it is something that I see debated on forums all the time. One of the key questions I always see is whether there is a difference in technique. I don’t think there is a difference in technique to be used, but what I do think there is a difference in is the outcome to be focussed on, going on to what Dr van Eijk said. Men tend to want definition, and tend to want a more 50:50 ratio in the lips, but what I do notice also they want vertical projection rather than frontal projection like a female. Females would rather have this resting pout, where the man wants the vertical projection and the definition and almost bans volume. So we use the same techniques but we’re using those techniques to deliver different desired outcomes. 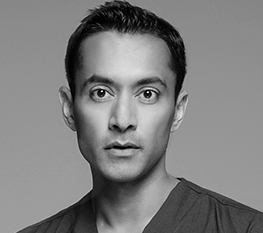 Dr Tapan Patel: I think previously, a little bit like how Dr van Eijk only uses a cannula once a year, the amount of male patients I get in for just a lip filler treatment is very low. It’s probably not that low, but certainly not the bulk of my practice. There was a time when I felt that the biggest risk we could take by treating a male lip was excessive feminisation, and I don’t know if this is an intrinsic difference between Dutch and English men, but in England now the answer to the question “Do you want to look more masculine or do you want to look prettier?” has a higher percentage of people saying prettier, compared to masculine. I don’t know, again, if this is just a changing demographic, with men wanting to look a little more ‘metrosexual’, but certainly we are getting more enquiries about lip filler. I think I would agree with your point Dr Esho, I don’t think the technique changes, but we just have to be clear about the outcome, avoiding that excessive projection horizontally and obvious philtral columns and vermillion definition. Dr Tijion Esho: I have a variety of patients from different backgrounds in my clinic, and one thing I do notice, because there’s obviously cultural differences in lips – we’ve got the panel with all different lips here, with mine at one end of the spectrum being very full – but when I have a Caucasian patient saying they want my lips, I know it won’t look correct on them. I know there’s parts that they might like about them, that they’re full, they have that 50:50 ratio, which if we look at their face it may be achievable, but I’m not going to try and stick this exact lip onto these patients. If you look at the Caucasian lip, that’s more like a 40:60 lip. Beforehand, we would usually just try and treat in a way that was specific to those ethnic groups, but now I think when you look at the social aspect there is more of a trend towards the African and Caribbean style of lip, where beforehand the style was more European quintessential lip. Now, I’m seeing that 50:50 fuller ratio, which you would expect from that background, like myself. I don’t know what you two have found. Dr Tapan Patel: What’s your experience Dr van Eijk? What’s your patient demographic? Dr Tom van Eijk: Mainly white and mainly older, so my cases are mainly reconstructive in nature. I don’t so much cross the ethnic border as you describe it. Dr Tijion Esho: I think that’s interesting, because it just shows that actually you understand your patient set, and I think that’s the key to it. You respect and understand the differences between the ethnic groups, but at the same time you understand your patient demographic and what their wants are, so I have a wide range, and that range is mostly within the 25-35 age group, and that group tends to want to go towards that Afro-Caribbean shift with the shape of their lips, I don’t know how yours are Tapan. Dr Tapan Patel: A little bit like yourself, I think my patient demographic is very ethnically diverse, not only in London, but as you are aware when we are teaching around the world and we actually get patient model volunteers from different countries, from Asia, Africa, the Indian subcontinent, the Middle East, etc. It gives us a real perspective, and I think one of the things in a younger patient we are seeing across all cultures is a definite desire for larger, more defined lips. Even in my Afro-Caribbean patients who have good lip volume to begin with, we still get demand for border definition and hydration. I think with the Indian patient subgroup, I am finding that they are now favouring, as Dr Esho quite rightly said, a more 50:50 lip ratio. Interestingly, in a lot of the Asian countries, where they also have very good lip volume, they want smaller lips. One of the things Peter Peng in Taiwan has written an article about is how you can use things like chin filler treatments to reduce the protrusion of the lower lip, especially in a lot of Chinese and Korean patients, who already have quite full lips to begin with. I think understanding what the ethnic patient is desiring is really key, There are a number of excellent publications that are focussing on this, and who knows, maybe one day we’ll have to reconvene for an ethnic facial type expert seminar. Dr Tijion Esho: When it comes to anaesthesia, it’s something that I see debated online a lot. People say that if your technique is right then lip augmentation doesn’t hurt, but that’s subjective. You’ve taken away the patient factor there if you say that, and I think what’s important is to introduce the patient into that decision. That patient could react to something as little as a feather touching the area while you could use a brick with another and it wouldn’t hurt. You need to explain the disadvantages of each, and I give all my patients the choice between nothing, topical, or a dental block. The one exception I have that I wouldn’t do a dental block for is if the patient has gross asymmetry, because already they have a foundation that I am trying to alter and shift, and if I have a case where the block has taken more on one side than the other then actually I’m making it more difficult for myself, but under any other circumstance I give patients the choice. Dr Tapan Patel: Tom, over to you. Dr Tom van Eijk: Yes, that’s very understandable, what you said about asymmetry. I tend to give them the choice and if they choose the numbing cream I say that if they decide halfway through the treatment that it isn’t enough then I’m willing to give any anaesthesia they need. Like you said, we’re in this business to stay, and now this lip generation, the 25-35 year olds shop a lot more, they’re on Instagram, they share with friends, and once you have a reputation for being the doctor that doesn’t hurt, that’s really beneficial. Dr Tapan Patel: I agree, so what techniques do you use? You said you would do some topical if they want, but do you ever use dental blocks? Dr Tom van Eijk: I use what I call an ‘Amsterdam block’, just to be chauvinistic of course, which is somewhere halfway between a dental block and a field block. Dr Tijion Esho: Like a mucosal block? Dr Tom van Eijk: Yes, and I daisy chain the injections so you have four injections which are noticeable then from those I go to the side and into the middle in a specific order to make it as comfortable as possible. Sometimes people are actually really surprised that you can do a lip augmentation without any pain at all. Dr Tapan Patel: I have very little to add other than what you both have said, but just a few points. I think you’re right, patients do judge us on our ability to deliver a result, but also to do so painlessly. We’re now subject to social media scrutiny with review sites and testimonials, etc. and sometimes even if you have delivered a great result, if the patient felt it painful then they are definitely going to report that back. Probably where I vary from you is that I never use a dental block, and this is just, I suppose, a psychological thing where I am always on the lookout for potential vascular occlusion. I know at least a third of vascular occlusions are painless, but I worry that if I remove the pain element from the patient completely, I’m losing one of the stimulus that might alert to something going wrong, so I don’t use a dental block ever. I sometimes use topical, but very rarely. What I do is in the consultation I explain that the topical is more likely to vasodilate them, which, in turn, is more likely to bruise them. What I really want to do is give them the best technique and result I can without excessive swelling. I tell them this at consultation, and if by treatment day they are fine with it then the one tool I use is some ice in a rubber glove. Ice, for me, does 2 things. It numbs the pain for the needle to go in, and let’s remember that there’s two reasons why lip augmentation hurts; the needle going through the skin, or mucosa, and the swelling of the product distending the tissue. The Emla doesn’t help with the latter anyway, it’s topical so it only helps with the needle through the skin, but the ice deals with that. The vasoconstriction you get, I believe, also helps with any haemotoma type problems. The second thing I do is give them a stress ball to squeeze. Maybe you will agree with me that now, with the products we are using, because we have such low extrusion force, and I think I can speak for all the products we use, we get that product out with such a small gauge needle that now doing lips with a 30 gauge needle is so much nicer than with the 27 gauge and the 26 gauge that we used to use 5 or 10 years ago. I think we’re right that there are sensitive areas, but in the last year or so I haven’t really used topical or injection anaesthesia on anyone. I do take your point, Tijion, and I’m not just being facetious and saying that it shouldn’t hurt, but rather that I have a real strategy that I want to treat the lip as unanaesthetised as possible. Your case in point, Tom, if they do feel it and are uncomfortable then I will stop and give them some anaesthetic. Dr Tijion Esho: I think that’s going back to the consultation, you know, you’ve been really focussed on the consultation and you’re honing in on what that patient wants and you’ve pitched them exactly why you would choose that way to treat them. If they’re on board then that’s fine, but if they are saying that they still want to have anaesthetic then they do. Everybody has a way or reasoning behind what they do, but I think that the patient comes first for the final decision. Dr Tom van Eijk: One of the benefits of local anaesthesia with adrenaline, as I use in the Amsterdam block, very close to where you are going to inject is that the vasoconstriction you talked about is longer term because of the adrenaline, for a few hours it reduces swelling and haemotoma. I’d even say it reduces the chance of you getting into an artery because everything is cramped up. Dr Tapan Patel: Just to play devil’s advocate, the other thing is that sometimes when you do use the nerve blocks that the patient’s animation becomes very compromised, they can’t smile or pout as they would, so trying to treat and then see how the result of treatment impacts animation, the dental block kind of takes that away. Dr Tijion Esho: I think what then sinks into that is experience. I think when forming an assessment prior and then during treatment, I wouldn’t have factored in the dental block in my earlier days. Now I have, because I feel I can make a lot of that gross assessment before, but again that stops me when I have gross asymmetry because I know that despite that experience I am still putting myself at a disadvantage, for both myself and the patient. Dr Tom van Eijk: I think it’s very difficult if you have asymmetry, because what we see in conferences and what we will see in the patient case studies is people saying that they have just treated a patient and this is the result, which is nonsense because the result will be visible in about three weeks. To me, looking at the lips while I’m doing it doesn’t give me much information. Dr Tapan Patel: I take that point and I think it is a very responsible comment made for some of the more novice injectors that I think sometimes live demonstrations are almost choreographed to show a result, which, of course, is only something that you’re seeing immediately, but the real result, as Tom said, is always 2 or 3 weeks after. Dr Tom van Eijk: Obviously, there’s also Lidocaine involved and there’s all of these factors that stop you from seeing the real result.